Hi everyone, it's time for another share of Joy Clair Stamps. Pop by the store, you will absolutely love their stamps. 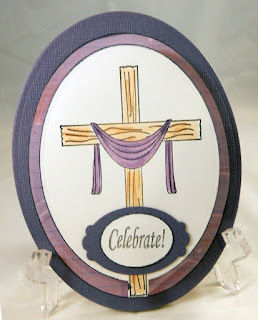 Today, I'm working with He has Risen stamp set which is a set of 5 stamps that can be used for both Bible journaling as well card creations. 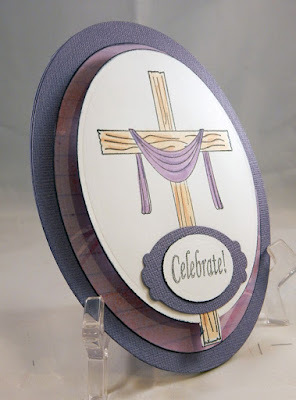 I stamped the cross on white cardstock and colored it with Copic Markers. 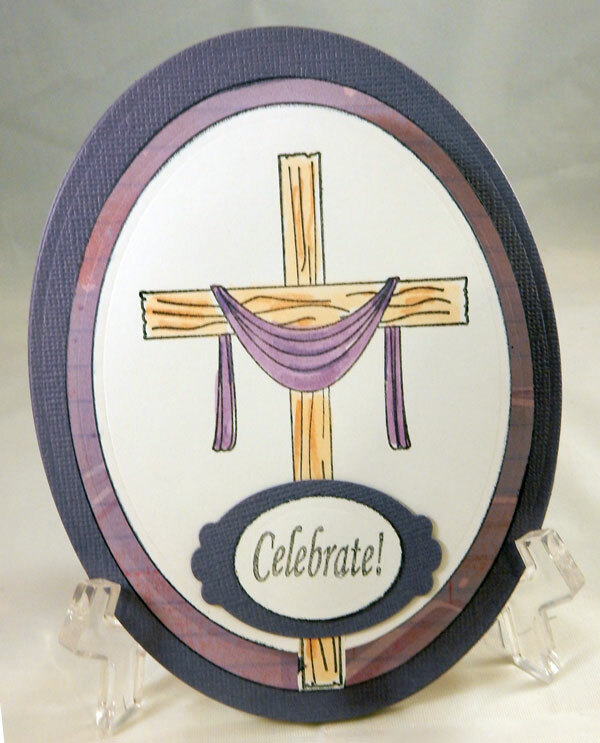 As I wanted to use this on an oval card, I die cut the image, cutting around the bottom of the cross. To coordinate with the purple cloth, I created a purple card. I added Celebrate on a tag across the bottom of the card. Thanks for stopping by today and be sure to stop by the Joy Clair store and check out their amazing stamps. Join our Combined Blog Hop!